I hope you are enjoying the creative uses that the design team has found for Linnie Blooms products. 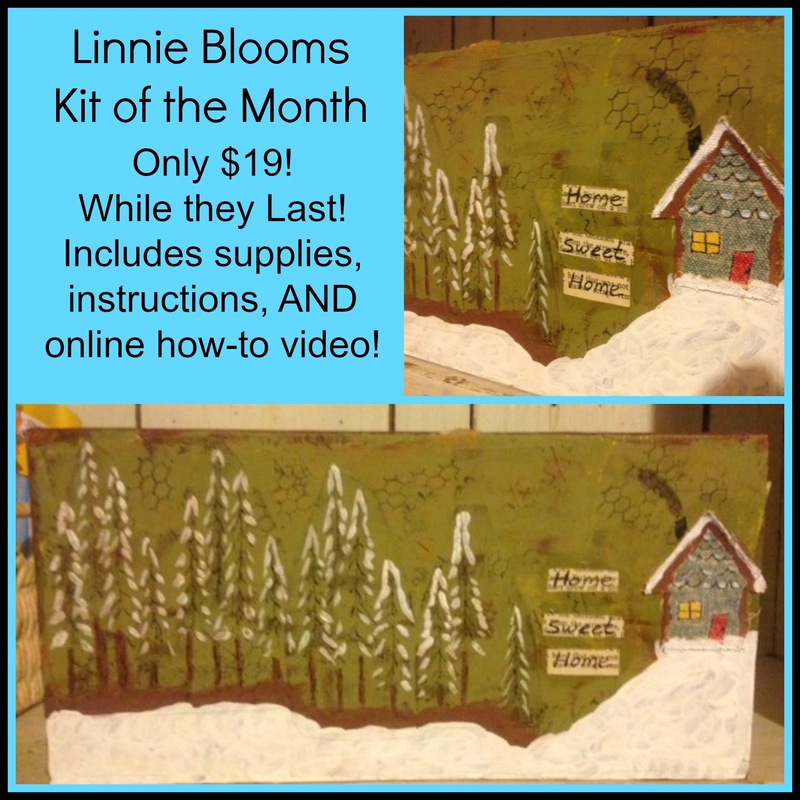 Today I wanted to share with you that throughout 2015 Linnie Blooms will be offering a Kit of the Month. These kits are created in limited quantities and will include a FREE how-to online video that will show you exactly how I created the project. This is in addition to color written instructions and the supplies that you receive to complete the project. We are getting a jump start with this beautiful December Kit. At this time there is no subscription required to get your kits. Simply order the kit when you see it becomes available. If we haven't run out, you will receive it, along with a link to the video. I hope you will take advantage of this great offer! Better still, when you create your project, be sure to load a picture of it on our Mixed Stitch Media Revolution Facebook Group Page!